How can we approach this work? To intercede for the intentions of the world and of the Church. to the intercession of Fr. Marie-Eugene. It will be supported by the members of Notre-Dame de Vie. with the blessed Fr. Marie-Eugene. If you send us a prayer intention or a testimony, you agree with its being published on the website after our validation and possible editing. Only your first name or initials will be published. At any time you will be able to ask us to delete the information concerning you. Finally, concerning the photos and illustrations you may provide, you are entitled to publication rights. Do you want to add a picture or a document? Zion Valdez, 2yrs. old, was admitted to the Oakland Children’s Hospital this week. He is diagnosed with Lukemia. Lord we pray through the intercession of Blessed Marie-Eugene, that this child’s health will be restored and he will be healed and granted a full life with his family. We ask in the name of our Lord and Savior Jesus. Good Health is what I always pray for. I pray to God to keep my body, mind and spirit healthy. This prayer is not just for me but also for my family. May God keep us safe and healthy. My daughter Luanne was diagnosed with a short cervix on her 27th week and 3 days of pregnancy. This will be her second child. 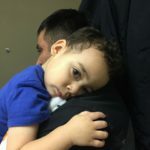 Please favor us and save Luanne and her child Adriana. Thank you blessed Marie Eugene of the child Jesus. I ask for a miracle of healing for my sister-in-law, Joanne. She was stricken with a rare and extreme scoliosis of the spine that kept her in severe pain for most of her life. She had several metal rods placed in her back 23 years ago. One of the rods broke and the fragment was removed last year. Since that surgery, for the past year and a half, she was plagued with infection and is now faced with having to remove all the hardware in her back at age 72. 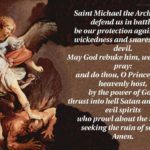 I pray that you will assist in helping my son’s return to the sacrements, and for the conversion of his wife, and securing the gift of Baptism for his children. At the end of September, I sent by letter a request through the intercession of blessed Father Marie-Eugene. A 32-year old woman, a friend of our family who had married in August, was diagnosed with breast cancer. She absolutely refused any treatment, she had consulted a Mexican healer without any result. All of a sudden her depressive state improved and she accepted a chemotherapy treatment, which has already made the tumor regress. She is much calmer. I go on trusting in prayer and in the door opened by Father Marie-Eugene. Many thanks from the deepest part of my grateful soul. In 1992, after a period of unemployment and having exhausted all possible contacts and in spite of many attempts, I was advised by a friend to pray to Father Marie-Eugene. It was somehow the attempt of the last chance and my natural optimism had begun to weaken seriously. About ten days after my prayer I received several work proposals and one of them was successful ; I even had the possibility to choose ! Let us pray to him with confidence.